Desk space is a valuable commodity for most of us, and the last thing anybody wants to do is sacrifice a huge area to put down a second keyboard. On the other hand, who among us doesn't hate to switch back and forth between the keyboard and your phone while working and responding to text messages? If this is a familiar feeling, Logitech's just announced K480 Bluetooth keyboard might fit your not-so-uncommon demands. 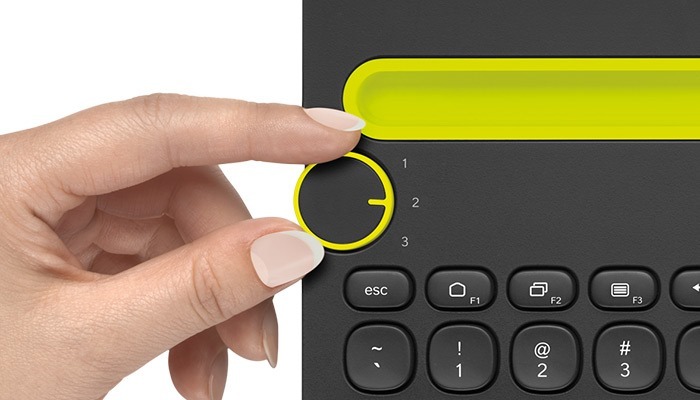 It's designed to connect with up to 3 devices simultaneously, and switch between them with the turn of a dial. 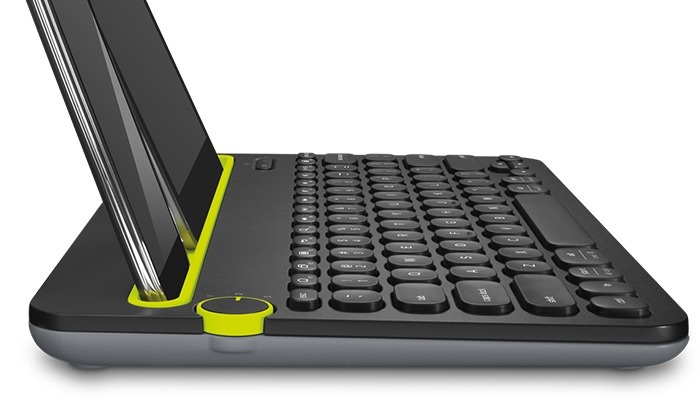 The K480 sports a groove to prop up a phone or tablet, or both. It's capable of switching between 3 devices of virtually any platform using a dial tucked conveniently at the top-left corner. 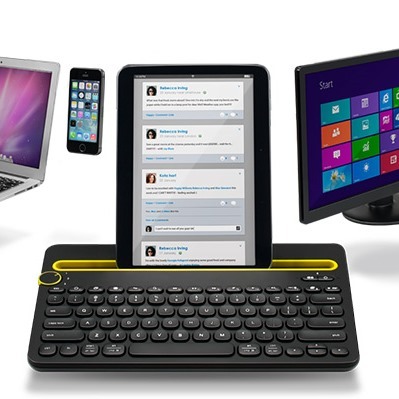 In fact, you'll be able to link it up with any combination of devices running Windows (7 or above), Mac OS, Chrome OS, Android (3.2+), or iOS (5+). It will probably work with any other platform with Bluetooth keyboard support, but these are the only operating systems currently supported. All of the necessary modifier keys are present for any supported OS you're going to use, so you shouldn't have any trouble switching back and forth. It even switches the 'alt' key between locations to keep Windows and Mac users happy. 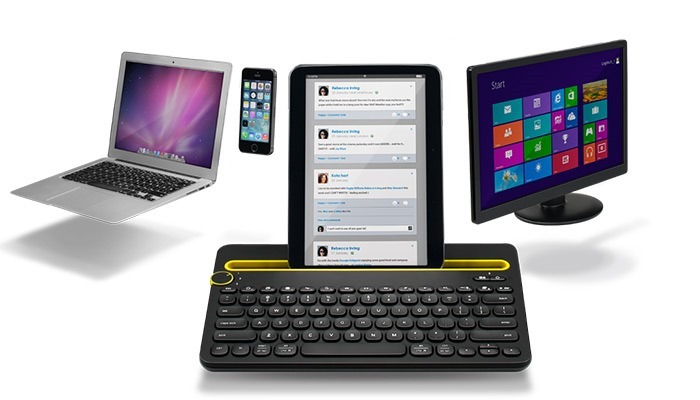 Logitech plans to launch the K480 this month in the U.S. and Europe with a price of $49.99 USD. Your color choices are limited to black/(neon) yellow or white/gray. 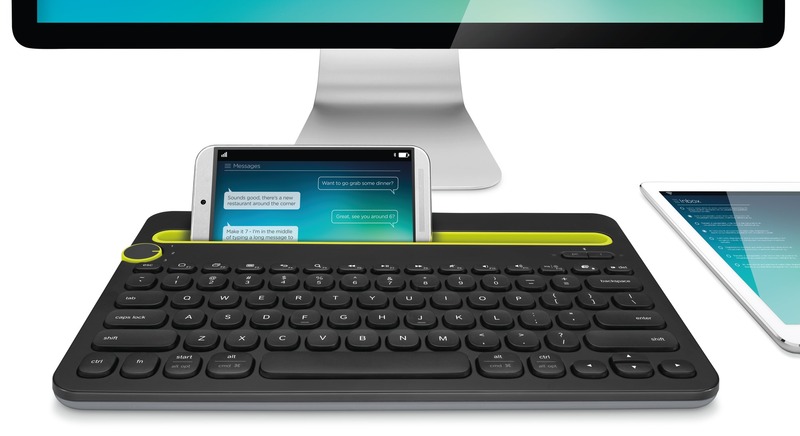 If you're dying to get a pre-order in before this keyboard hits store shelves, or if you just want a few more details, check it out at Logitech's product page!